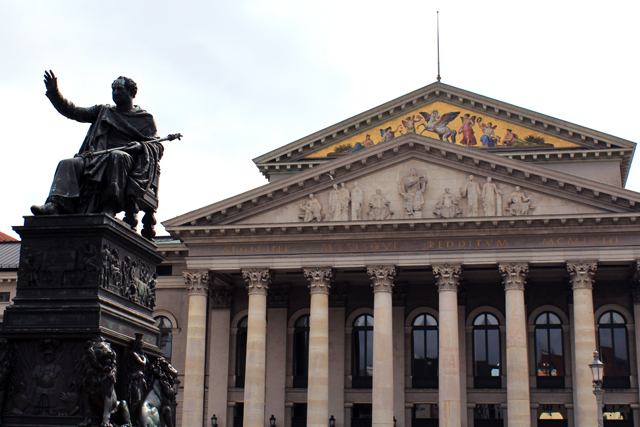 We took an overnight train from Berlin to Munich, which at first seemed like a great idea as it was a lot cheaper than spending the night in a hostel or hotel. This didn't exactly turn out to be the case. It went from being stuffy and airless, to freezing cold and we unfortunately had quite an enthusiastic snorer opposite us. We arrived in Munich an hour later than scheduled, in quite a zombie-like state after only two hours sleep. We stored our bags in the lockers in the station, freshened up and went to explore. The weather was pretty heavily overcast that morning and everywhere was eerily quiet. Nothing was open and there were barely any people around, it was so odd that I had to text my Mom and ask her to do a quick web search for me and it transpired that it was a public holiday. We had a few places we wanted to see, other than that we decided to just see where we ended up. 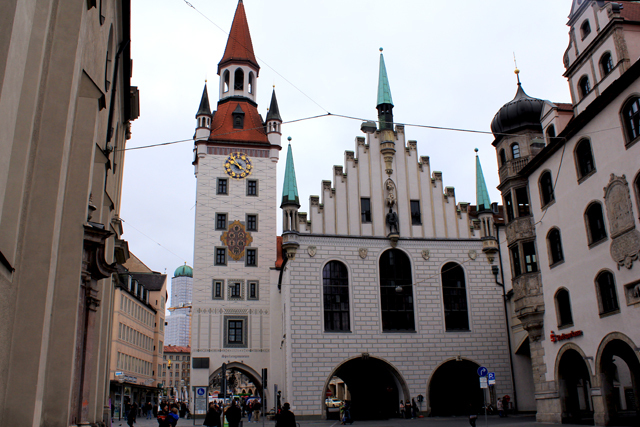 We started in Marienplatz which is a large square in the middle of the city and not too far from the central station. 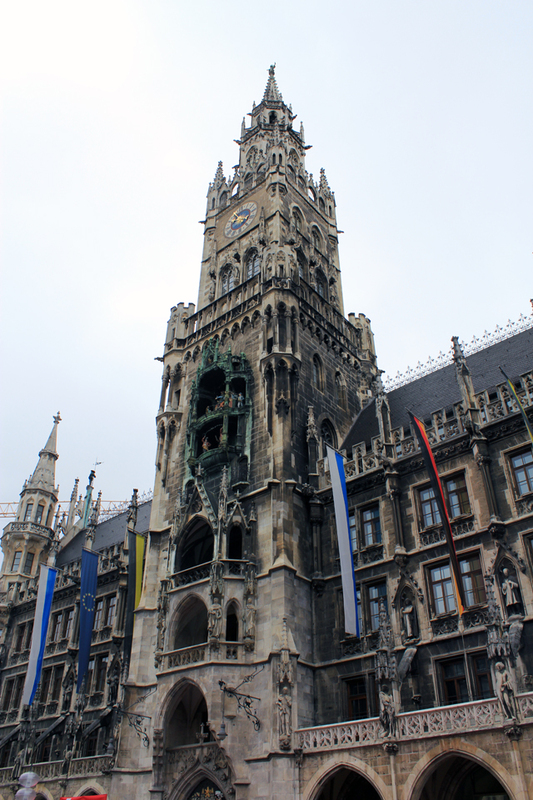 The architecture of both the Neues Rathaus (New City Hall) and Altes Rathaus (Old City Hall) were just gorgeous and so different too. We headed out of the centre of the city and past the Munich Residenz, the Bavarian State Opera and then along Maximilianstraße which we felt very grubby to be walking down as it is a royal boulevard and famous for exclusive boutiques including Dior, Chanel and Versace, as well as one of the most expensive hotels in Munich. Maximilianstraße lead us across the beautiful Isar river and to the Maximilianeum, a striking building which houses the Maximilianeum Foundation, a foundation for gifted Bavarian students. 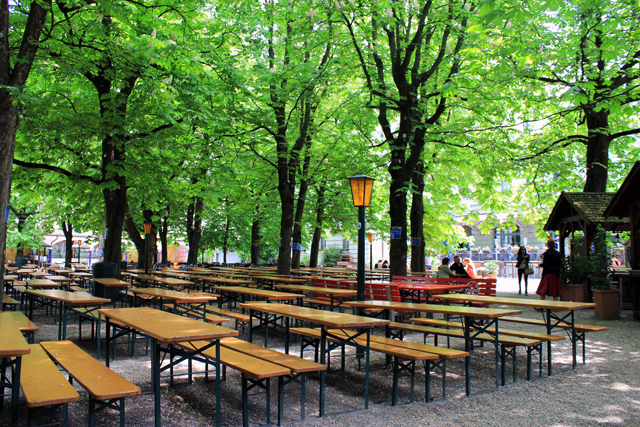 We headed through Wiener Platz to the Hoffbräukeller biergarten for some lunch and our first drink of Bavarian beer. Kyle opted for a full litre/bucket of the stuff, whilst I went for a half of Radler, which is beer mixed with lemonade. The garden itself is lovely, loads of long tables and benches shaded by tall, leafy trees and there were even people in traditional dress, including lederhosen! 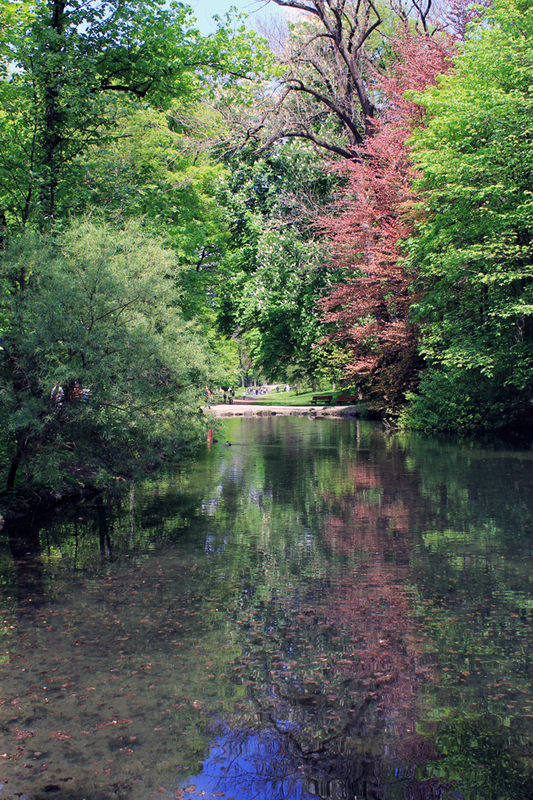 After eating some chips and finishing our drinks we went to the Englischer Garten (English Garden). It was glorious by this point, beautiful sunshine and really quite warm, which made walking through the garden even more lovely. 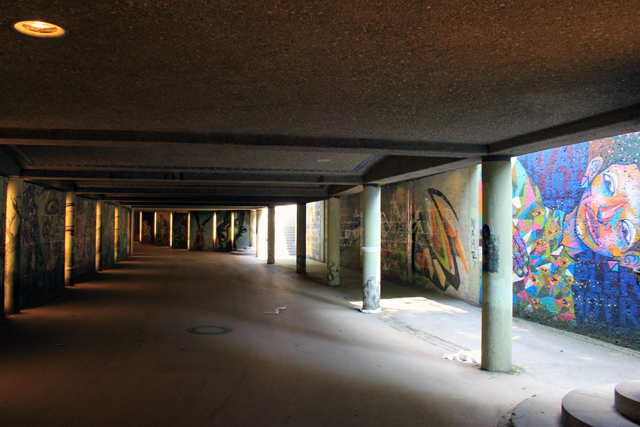 Some roads go over the garden, which means there are little underpasses where there is some really good graffiti. 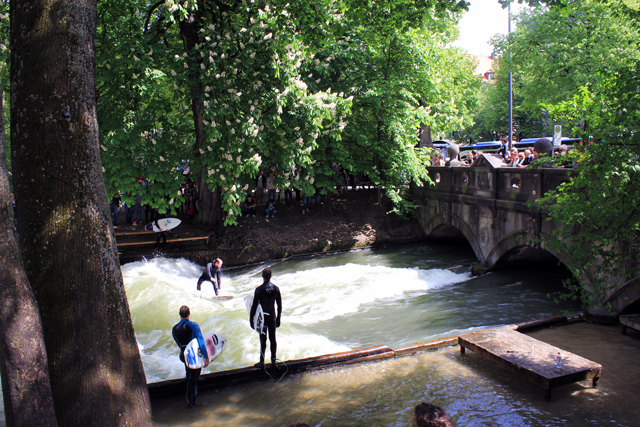 On our way back to the city centre, we came to a bridge that went across the Eisbach, a small channel of the Isar river. 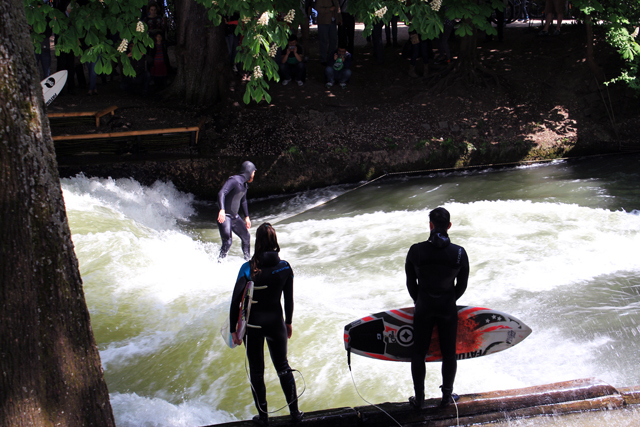 What is special about this place is that it is where people come to do some urban surfing! There are large waves just the other side of the bridge and it was an absolute delight to watch. Returning to the city centre, the whole place felt different. There were loads of people out laughing, drinking, eating and enjoying the public holiday. There were loads of very differing street music being performed and it was just lovely to be able to stop and listen. We didn't stay out late as we were absolutely exhausted from the train journey the night before, so we bought a picnic tea and went and checked into our hotel where we planned our next day of adventuring in the mountains.